France is reeling from a terrorist onslaught, with two fatal incidents in Paris on Friday, and at least four innocent people killed. Two days after two gunmen killed 12 in an assault at the French satirical magazine Charlie Hebdo, the two suspects were shot dead by French security forces on Friday afternoon and the hostage they were holding was freed. Security forces simultaneously stormed the kosher supermarket where another gunmen was holding hostages, killing him. Four of the hostages he was holding were killed, and four more badly hurt. His wife-accomplice was said to have escaped. The terrorists involved had been coordinating their activities. The Times of Israel liveblogged developments through Friday and into Saturday. Saturday’s liveblog is here. France is battling an Islamist terror onslaught. An armed man has taken at least 6 people hostage at a kosher grocery store, among them women and children. Kelly Peretz, an Israeli woman, has just told Army Radio that relatives of hers, a mother and her child, are among the hostages. Army Radio reported that the gunman told police he will not free the hostages unless the Charlie Hebdo attackers, who are holding one person hostage in eastern Paris in standoff with French police, are allowed to go free. Police confirmed Friday afternoon that the gunman at the kosher market is the same man who killed a policewoman south of Paris on Thursday, and is linked to the assailants who stormed satirical magazine Charlie Hebdo on Wednesday, killing 12 people. He was named as Amedy Coulibaly, 32. Authorities are looking into suspicions that he took part in the Charlie Hebdo attack. Coulibaly was seen with Charlie Hebdo suspect Cherif Kouachi in 2010 during an investigation into an attempted prison break in France, police said. He was convicted for his role and was well-known to anti-terrorist police. France Info radio reported that the shooter at the kosher market has two AK-47 rifles, and fired for around 20 seconds before taking five hostages. He then phoned police to make contact. An eyewitness at the kosher market told Le Monde that “people were shopping when a man entered and started firing everywhere.” The witness, who did not identify himself, said he was able to escape but heard more bursts of gunfire behind him. He said he only saw one gunman but a person waiting for him outside in the car told him several assailants were involved. 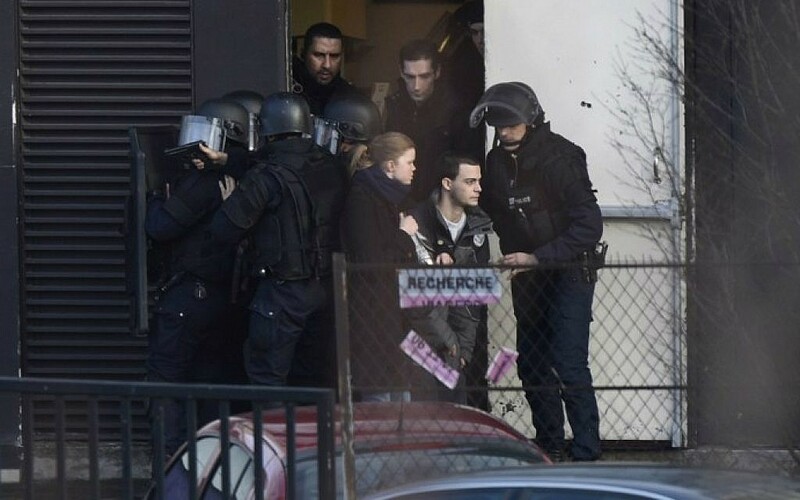 The two brothers suspected of slaughtering 12 people in an Islamist attack on French satirical magazine Charlie Hebdo are holding one person hostage and are cornered by police northeast of the capital. French prosecutors denied reports of casualties in the manhunt. The suspects told police they “want to die as martyrs,” Yves Albarello, a local lawmaker who said he was inside the command post, told French television station i-Tele. Authorities evacuated a nearby school around midday Friday after the suspects agreed by phone to allow the children safe passage, town hall spokeswoman Audrey Taupenas told The Associated Press. He says “the first priority is to save the lives of the poor people being held hostage” in the Paris grocery. Later, it will be time “to draw conclusions” from France’s failure to deal with the jihadist terror threat. The country was “unprepared for this kind of terror wave,” he says. “I warned them time and again… I tried to warn them. They didn’t want to listen,” he says of the French authorities. 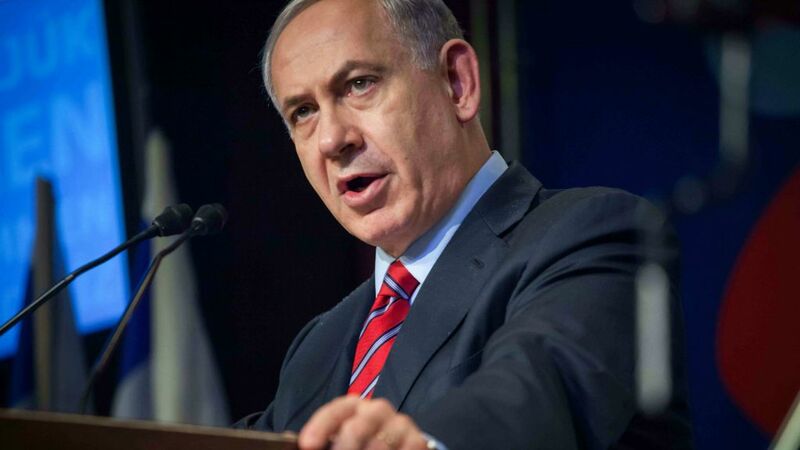 Prime Minister Benjamin Netanyahu implores the West to stand firm and fight back against radical Islam. Netanyahu convened an emergency consultation with top officials, and offered intelligence and other assistance to France. The panel, which included Foreign Minister Avigdor Lieberman and Mossad chief Tamir Pardo, among others, was advised to continue providing the French authorities with as much intelligence as possible and to refresh safety guidelines at the Israeli embassy in Paris and Jewish institutions throughout the country. “We grieve with our French brothers & sisters. We reaffirm our commitment to work together to defeat the enemies of the democratic values,” concludes Netanyahu. The prime minister sent a condolence letter to French President Francois Hollande Thursday, expressing empathy over a deadly terror attack at the Paris offices of satirical magazine Charlie Hebdo. There are conflicting reports about fatalities at the grocery store, Hypercacher Alimentation Générale. Several media outlets have been reporting two fatalities. Others say there are no confirmed deaths. Conflicting reports suggest five, six or more hostages being held. Reports of another incident near the Eiffel Tower are now being discounted. It is increasingly clear that Amedy Coulibaly, the gunman at the grocery, is linked to the brothers who killed 12 at Charlie Hebdo on Wednesday, and that he is refusing to free his hostages so long as the brothers are surrounded by police. Army Radio is reporting synagogues and stores in the area of the market are being closed down and evacuated. Terrorists linked to each other seized hostages at two locations around Paris on Friday, facing off against hundreds of French security forces as the city shut down a famed Jewish neighborhood and scrambled to protect residents and tourists from further attacks. France has been high alert for more attacks since the country’s worst terror attack in decades — the massacre Wednesday in Paris at the satirical newspaper Charlie Hebdo that left 12 people dead. The two sets of hostage-takers apparently know each other, said a police official who was not authorized to discuss the rapidly developing situations with the media. The Paris mayor’s office immediately announced the closure of all shops along Rosiers Street in the city’s famed Marais neighborhood in the heart of the tourist district. Hours before the Jewish Sabbath, the street is usually crowded with shoppers — French Jews and tourists alike. The street is also only a kilometer (.06 miles) away from Charlie Hebdo’s offices. 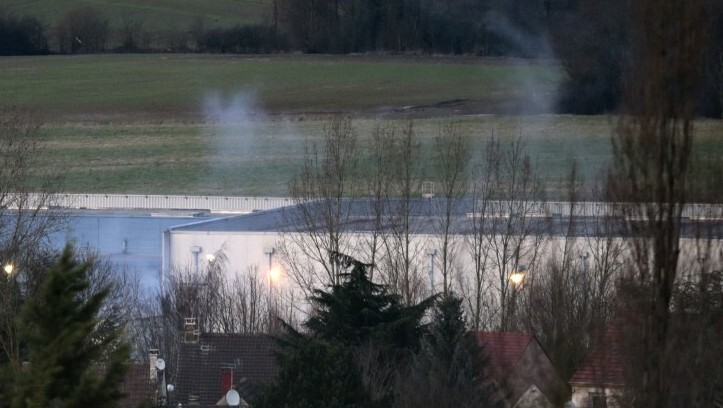 Two brothers linked to al-Qaida grabbed a hostage early Friday and were cornered by police inside a printing house in Dammartin-en-Goele, northeast of Paris. 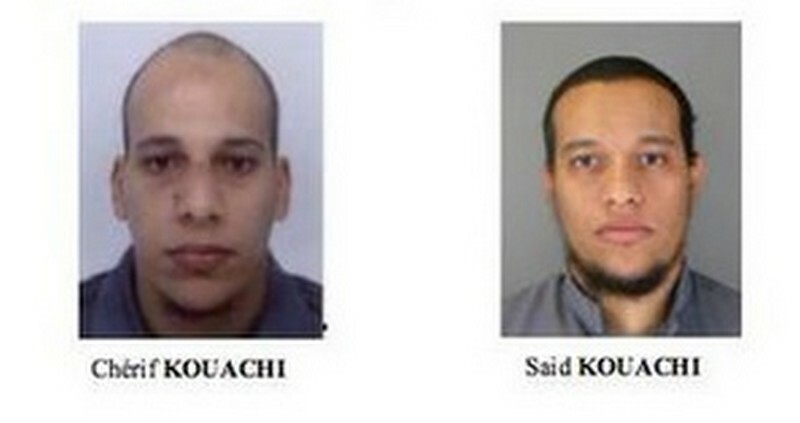 They are believed responsible for the attack that decimated Charlie Hebdo’s staff and left two police officers dead. In addition, the police official said a gunman holding at least five hostages Friday inside a kosher grocery store in eastern Paris is believed responsible for the roadside killing of a Paris policewoman on Thursday. Authorities released a photo of him and a female accomplice but were unclear about her whereabouts. At the store near the Porte de Vincennes neighborhood, the gunman burst in with gunfire just a few hours before the Jewish Sabbath began, declaring “You know who I am,” the official recounted. Police SWAT squads descended on the area and France’s top security official rushed from to the scene, as he did the day before when the policewoman was killed. The attack came before sundown when the store would have been crowded with shoppers. Paris police had released a photo of Amedy Coulibaly and a second suspect, a woman named Hayet Boumddiene, who the official said is the market gunman’s accomplice. 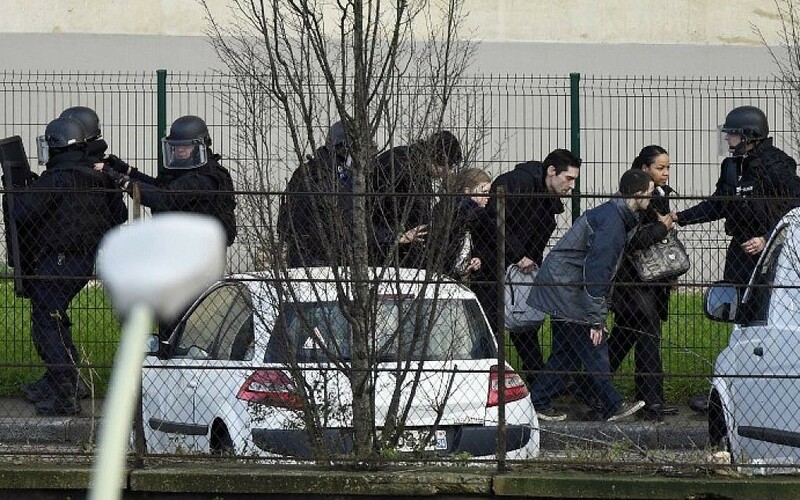 Police said 100 students were under lockdown in schools nearby and the highway ringing Paris was closed. Hours before and 40 kilometers (25 miles) away, a convoy of police trucks, helicopters and ambulances streamed toward Dammartin-en-Goele, a small industrial town near Charles de Gaulle airport, to seize the Charlie Hebdo suspects, who had hijacked a car in a nearby town after more than two days on the run. From Paris, an Army Radio reporter at the scene of the Hypercacher Alimentation Générale says the number of hostages being held is “far higher” than the figure of six hitherto reported. He says French police have sought to prevent this higher figure being reported. He adds that most of those being held are local Jews who were doing their shopping just prior to Shabbat. A police official says the gunman holding at least five hostages in a kosher market in eastern Paris has threatened to kill them if police launch an assault on the cornered brothers suspected in the newspaper massacre earlier this week, AP confirms. The official says several people were wounded when the gunman opened fire in the market Friday afternoon and were able to flee and get medical care. It is not clear whether the woman listed as the gunman’s accomplice in a police bulletin is inside with him. The leader of the Lebanese Hezbollah group says Islamic extremists have insulted Islam and the Prophet Muhammad more than those who published satirical cartoons mocking the religion. Sheikh Hassan Nasrallah did not directly mention the Paris attack on the offices of Charlie Hebdo that left 12 people dead, and the subsequent hostage crises, but he said Islamic extremists who behead and slaughter people — a reference to the IS group’s rampages in Iraq and Syria — have done more harm to Islam than anyone else in history, AP reports. 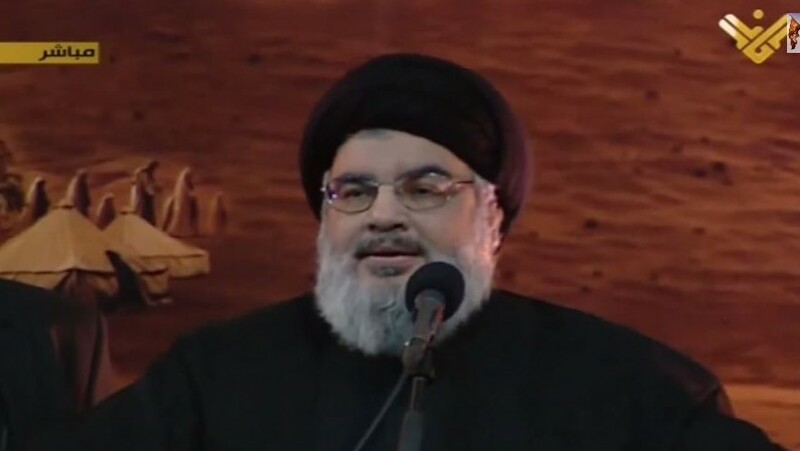 Nasrallah spoke Friday via video link to supporters gathered in southern Beirut. Nasrallah’s Shiite group is fighting in Syria alongside President Bashar Assad. His remarks are in stark contrast to those of Sunni terrorists from the IS group and al-Qaida who have called for attacks on Western countries. An eight-month-old baby is among those being held in the Paris grocery, Israel’s Army Radio says. It adds that increasing numbers of armed French security forces are surrounding the area. The station’s correspondent at the scene says media have been asked to stop filming there, because the French authorities know that the gunman, Amedy Coulibaly, is watching TV reports from inside and that this is helping him control the situation. A series of gunshots and explosions are heard in Dammartin-en-Goele, north-east of Paris, where the Kouachi brothers have been holding at least one person hostage since after 9:00 am local time. French special forces are said to be storming a building where Said and Cherif Kouachi are holding at least one person hostage northeast of Paris, AFP reports. The standoff between the brothers and police had been going on since after 9:00 am local time. Said and Cherif Kouachi, the brothers who killed 12 people at the Charlie Hebdo magazine on Wednesday, have been killed by French security forces, Israel’s Army Radio reports. 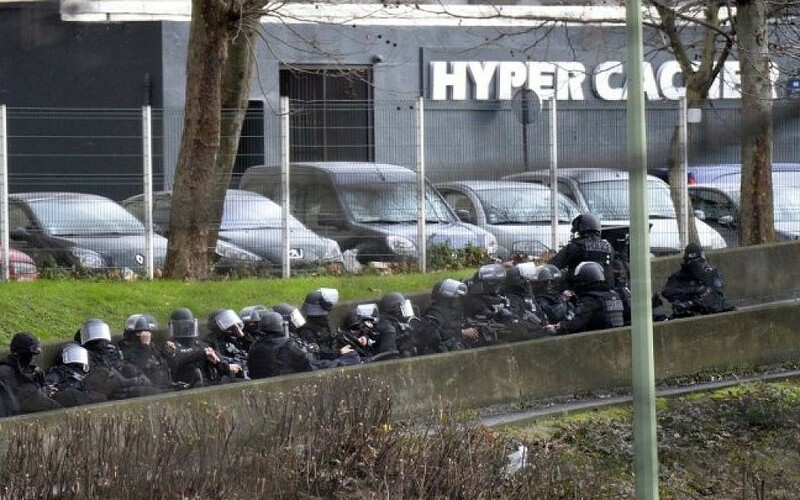 Gunshots and explosions are heard at the kosher supermarket in Paris where a gunman is holding at least 6 people hostage. People are seen running away from the site. 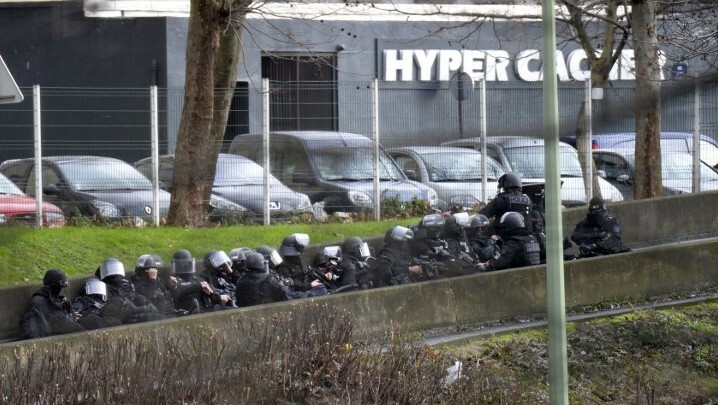 At least three explosions heard as French special forces storm the kosher supermarket where six people are being held hostage by a gunman linked to the Charlie Hebdo suspects, AFP reports. The hostage crisis at the Kosher supermarket in Paris is said to be over and some of the six people who are held there by a gunman are freed. The assailant is injured after police storm the store. A French police official confirms the two suspects in the Charlie Hebdo massacre have been killed. The hostage they were holding has been freed, the police also say. The two brothers, Said and Cherif Kouachi, killed 12 people in an assault on the Charlie Hebdo satirical magazine on Wednesday, and a massive manhunt had been mounted to catch them. They were holed up in a building in the Dammartin-en-Goele, north-east of Paris. The gunman at the kosher grocery store in Paris is said to have been killed in a police assault to free the hostages, according to Le Monde. 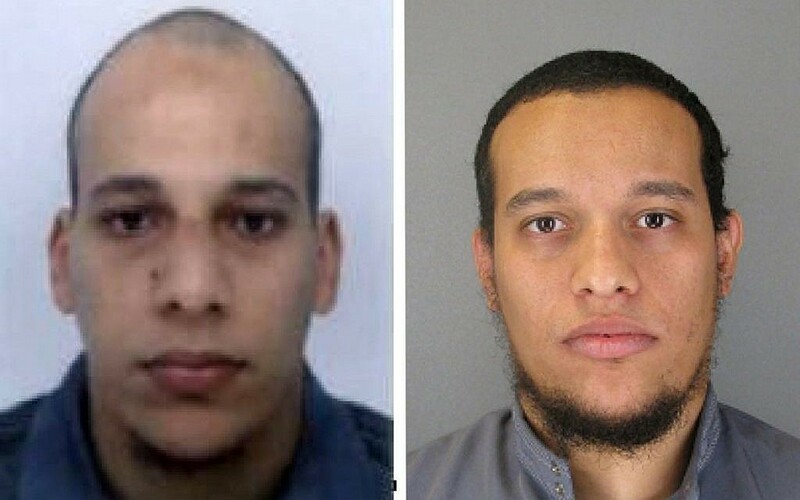 The Kouachi brothers, suspected in the Charlie Hebdo attack that killed 12 people, came out of the printing shop north-east of Paris where they were holding one hostage, guns blazing, a source tells AFP. French commandos killed the two as they stormed the shop. 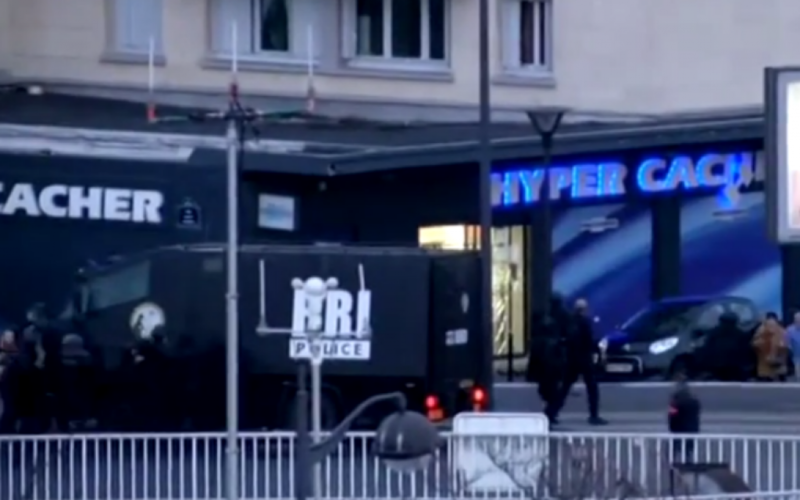 At least four hostages at the Kosher supermarket siege in northeastern Paris are dead, a police source tells Reuters. A security source tells AFP that five people are dead, including the gunman, at the kosher market in Paris. It is not yet clear how many hostages were in the market when Amely Coulibaly stormed in and started firing this afternoon. Some reports say at least 6, others as many as 16. The female suspect wanted by French police for involvement in the killing of a policewoman on Thursday is said to have escaped from the kosher market where gunman Amely Coulibaly held at least 6 people hostage. CNN reports that she fled in the confusion when hostages ran out after commandos stormed the store. Coulibaly was killed in the assault. Four hostages at the kosher market attack in Paris are dead and four are critically injured, a security source tells Sky News. French President Francois Hollande will address the nation at 8:00 pm local time, after two sieges in and around Paris end with 4 hostages and 3 gunmen dead. French Jewish lawmaker Meyer Habib tells Army Radio that one of the four hostages killed at the kosher market in Paris was his best friend. Prime Minister Netanyahu holds an urgent conference call with senior officials and members of the security echelon to discuss the attacks in and around Paris in which four hostages are dead and four are critically injured at a kosher market. Foreign Minister Avigdor Liberman, director-general of the Foreign Ministry Nissim Ben-Chetrit, Mossad Chief Tamir Pardo and National Security Adviser Yossi Cohen participated in the call, Army Radio reports. A hostage crisis is underway in the French city of Montpellier, after an armed man enters the store this evening. It is believed the incident is a robbery gone bad and is not connected to the earlier sieges in and around Paris. Two of the kosher store victims in Paris were killed when the gunman initially took control of the market and the other two died in the police assault in which he was killed, according to Army Radio’s correspondent in Paris. Two policeman are among four critically injured in the attack. “The attacks on Charlie Hebdo and on a kosher store are linked by the perpetrators’ ideology, not just their acquaintance. Islamic extremism is a common enemy of Jews and democratic states. That message needs to be heard and internalized by governments and mainstream society. 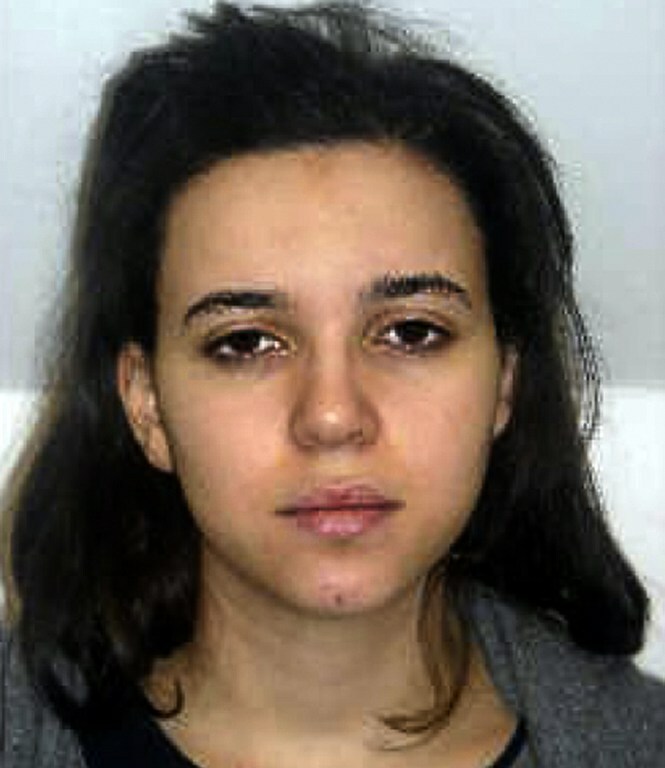 French police are on the hunt for Hayat Boumeddiene, 26, who is suspected of taking part in the siege on the kosher grocery store in Paris. She is said to have escaped in the confusion as hostages ran out following the police assault on the store. She is suspected of being involved in the killing of a policewoman in Montrouge on Thursday. Prime Minister Netanyahu just spoke to French President Hollande. Hollande confirms to him that four hostages are dead, and says 15 were freed from the siege at the Paris kosher grocery store. Several of them are said to be in critical condition. Netanyahu offers any assistance Israel can provide. 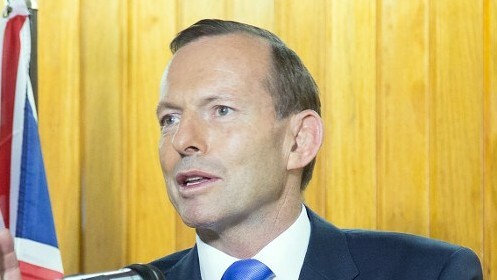 He calls for the international community to unite in the fight against Islamist terror. He says Islamic extremism has to be tackled, too, at its sources of funding, and also that its incitement efforts needs to be tackled and thwarted. Netanyahu also asks Hollande to maintain heightened security arrangements at Jewish institutions. Israeli ambassador to France Yossi Gal tells Channel 10 that security was bolstered in Jewish neighborhoods, Jewish businesses and at the Israeli embassy over the past few days after the deadly Charlie Hebdo attack that killed 12. Earlier, Jewish stores were told to shut down as the hostage crisis was unfolding at the kosher market at Porte-de-Vincennes in Paris. On Army Radio, Shlomo Malka, a French Jewish official, says some synagogues are not holding services in Paris tonight. “Not all the synagogues are closed,” he says, but some are. Many Jews are too scared to go to Sabbath prayers tonight, he adds. That “says something” about the mood of French Jews. “There’s a huge amount of fear,” he adds. Police launched the assault at the kosher market as the gunman was praying, believing he would be distracted, the Telegraph reports. A phone that was not hung up properly allowed police to listen in to Amedy Coulibaly and once he started praying they decided to move in, the paper says. The four fatalities in the Paris kosher grocery assault are “very likely” Jews, Israel’s deputy envoy to France, Tzvi Tal, tells Channel 2. He says he has no other information to offer at this stage on the identities of the victims. 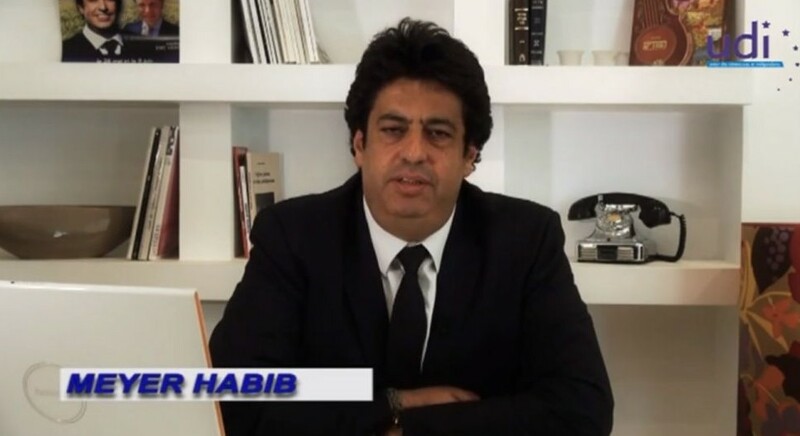 Earlier, Meyer Habib, a French Jewish MP, told Army Radio that one of the fatalities was “my best friend,” and that he personally knew two of the others. A French national tells Channel 10 that his brother-in-law, who was one of the hostages at the kosher market, hid in a refrigerator along with two others and called his wife who then contacted authorities. Haim Quatorze tells the news channel that the man was able to convey critical information to the police which helped plan the assault that killed the gunman. French news channel BFMTV says it interviewed the Kouachi brothers and Amedy Coulibaly during the two separate sieges today in and around Paris. Cherif Kouachi, one of the killers in the Charlie Hebdo massacre, confirmed to the news channel that he was his brother carried out the attack on behalf of al-Qaeda in Yemen. “We are the defenders of the prophet [Muhammad],” he reportedly said. The channel says its reporter spoke to Kouachi by accident, calling the printing business where the brothers were holed up with a hostage, hoping to speak to a witness. Coulibaly, the channel says, contacted them shortly after taking control of the grocery store to say that he was coordinating with the Kouachi brothers. “They [did] Charlie Hebdo, I [did] the police,” he reportedly said. Coulibaly killed a policewoman in Montrouge on Thursday, police say. The UN chief said all differences of views on religion and other issues can be resolved through dialogue. But he says the tragedy in Paris was not about religion. 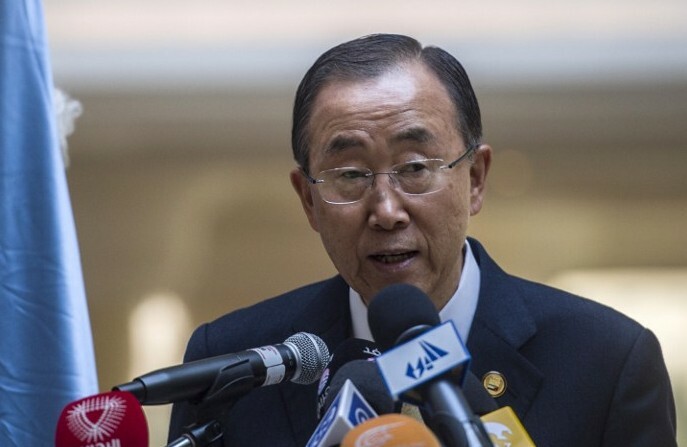 The secretary-general speaks after signing a condolence book at France’s UN Mission. “I am confident that even in these dark times France will continue to show the way of liberty and tolerance,” Ban wrote in French. America’s Jewish leaders urge France and the rest of Europe to decisively root out terror. Conference of Presidents leaders Robert G. Sugarman and Malcolm Hoenlein send their condolences to the leaders and members of the French Jewish community, in particular, to the families of the hostages reportedly killed at the kosher supermarket. “We call upon the government of France as well as other European governments to act decisively and comprehensively to root out those who had any involvement or provided support for the escalating terrorist attacks,” they say. “There must be a total commitment to bring to bear all the resources, both public and private, to end the scourge that has taken so many lives and hurt many more. The urgency to confront the Islamist extremist infrastructure is underscored by the presence of the many hundreds of young French fighters in Syria who are being trained to kill and carry out barbaric acts. All civilized nations should be joining together to create a solid wall of opposition that will honestly and forthrightly confront the root of the terrorism and extremism,” say Sugarman and Hoenlein. Amedy Coulibaly, a gunman killed by police Friday after seizing a Jewish supermarket in Paris, told BFMTV station he had “coordinated” with the Charlie Hebdo killers and was a member of the Islamic State group. Cherif Kouachi, one of the brothers who carried out the Wednesday magazine massacre before taking a person hostage on Friday, meanwhile told BFMTV they had been financed by al-Qaeda in Yemen. They were also both killed in a police assault. “Those who committed these acts have nothing to do with the Muslim religion,” he said. An Israeli official confirms to AP that 15 hostages were freed from the kosher supermarket in Paris. Earlier, President Hollande also told Prime Minister Netanyahu 15 hostages were freed. Reports indicate at least four of them are in serious condition, however. A Twitter account believed to belong to Iranian President Hassan Rouhani condemns “extremism and terrorism everywhere,” including Paris and the US. US President Barack Obama rallies to the support of France after the bloody end to hostage sieges in Paris, vowing to offer all assistance to combat the threat of militant Islamists. “We fight alongside you to uphold values that we share,” he said. Prime Minister Benjamin Netanyahu asks France to maintain tight security on Jewish sites after a series of terror attacks that included hostages being killed at a kosher store in Paris. “Prime Minister Netanyahu asked the president of France to keep up the increased security on Jewish institutions even after things return to normal,” Israeli government sources tell AFP following the telephone conversation between Netanyahu and Francois Hollande. European leaders will make an extraordinary show of support for France by joining a mass rally in Paris this weekend as a wave of global support continues following the bloody end to the Charlie Hebdo attacks’ sieges. British Prime Minister David Cameron and Spanish Prime Minister Prime Minister Mariano Rajoy, whose countries have suffered major terror attacks in the past decade, were among the first to say they would attend a huge rally in Paris on Sunday. German Chancellor Angela Merkel, Italian Prime Minister Matteo Renzi and Belgian Prime Minister Charles Michel said they would also come. European Council President Donald Tusk and European Commission chief Jean-Claude Juncker said they would attend the Paris rally as well, accompanied by the EU’s foreign affairs supremo Federica Mogherini. Britain’s Prince Harry meanwhile signed a book of condolence in London. The same message — distancing the country’s five million Muslims from the jihadists responsible for the attacks — was relayed at more than 2,300 mosques across France. “We denounce the odious crimes committed by the terrorists, whose criminal action endangers our willingness to live together,” says the rector of the Grand Mosque of Paris, Dalil Boubakeur. He also appeals to “all the Muslims of France” to take part in demonstrations planned for Sunday to pay homage to the 12 victims of the attack on Charlie Hebdo, the bloodiest in France in more than half a century. 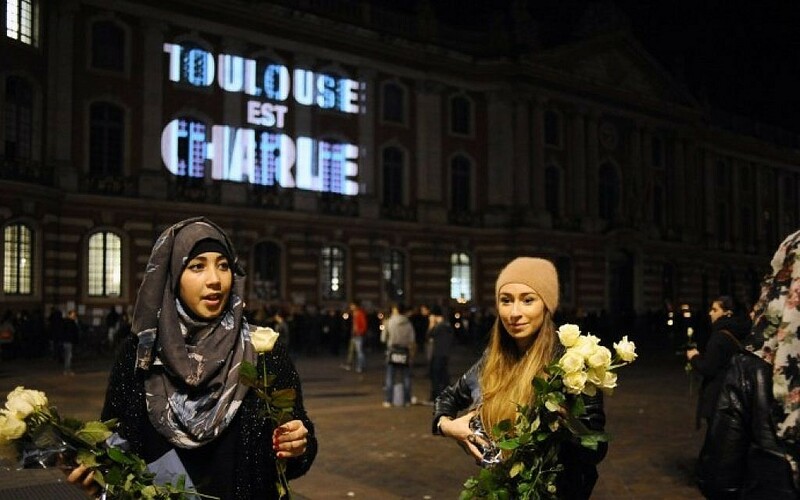 Muslim theologian Tareq Oubrou, an imam in Bordeaux, in the southwest, said Muslims were furious that their religion had been “confiscated by crazies… and uneducated, unbalanced people”. Al-Qaeda in the Arabian Peninsula, suspected of having ties to the attackers in Paris, is the most active of the terror network’s branches in trying to strike in the West. There are indications that the group inspired, financed or directly plotted the attack on the French satirical magazine Charlie Hebdo. If so, it would be the Yemen-based branch’s first successful strike outside its home territory. That would be a triumph for its trademark double-strategy: Waging jihad in Yemen to build its strength to strike abroad. 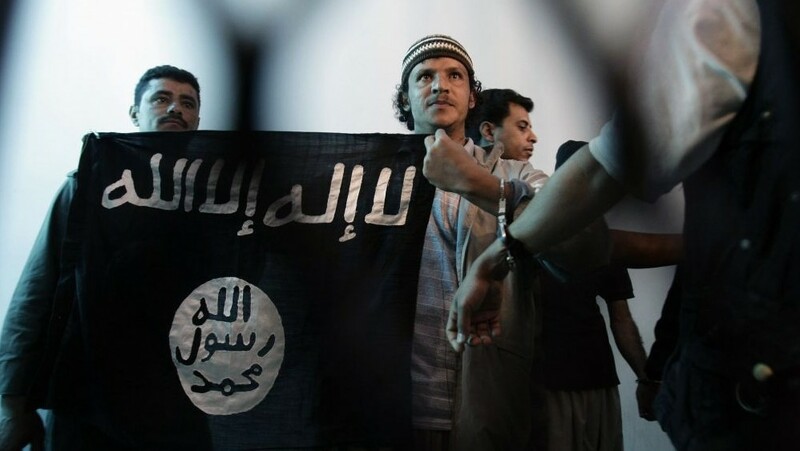 The group, the product of a merger between the terror group’s Yemeni and Saudi branches, is blamed for a string of unsuccessful bomb plots against American targets. Bill Roggio, editor of the Long War Journal, which chronicles militant activities, says Yemen’s branch of al-Qaeda has managed to seize territory inside Yemen, provide training and support for extremist groups operating in Syria, Iraq and other regions, and promote “lone wolf” attacks in the West. France2 posts a heart-breaking amateur video [warning: graphic] of the police assault on the kosher supermarket in Paris, which brought the siege to an end. As the camera zooms in on the entrance to the store, where police were waiting to storm in, what appears to be a man’s body is seen laying on the floor. Security forces then swoop in and are met with gunfire, forcing them to pull back momentarily. An explosion can be seen inside the store, after which the forces move in in full force. 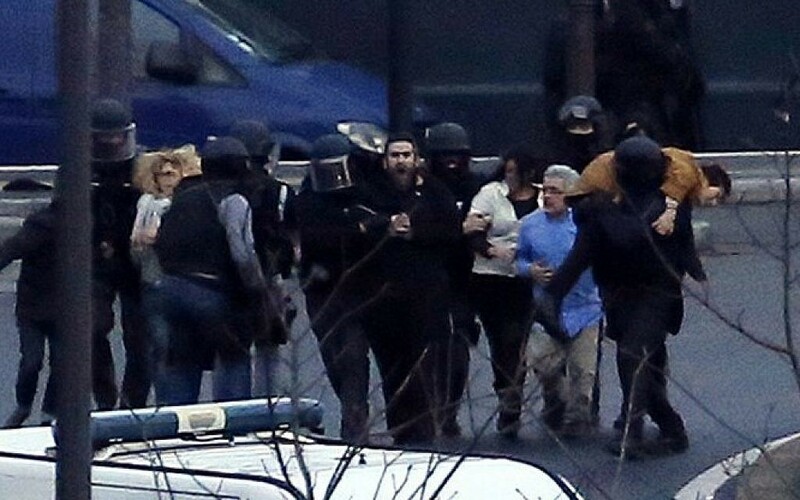 Hostages are seen pushing past them, looking frightened and shocked. Two policemen carry a body outside and set it on the sidewalk as the rest move in. The camera then focuses on a policeman seen dragging what appears to be an injured colleague away from the store. A security source says the gunman who was shot dead by Paris police after taking hostages at a kosher supermarket phoned other people from the scene, urging them to stage further attacks. Amedy Coulibaly, 32, was killed in the climax of the siege, in which four hostages died. 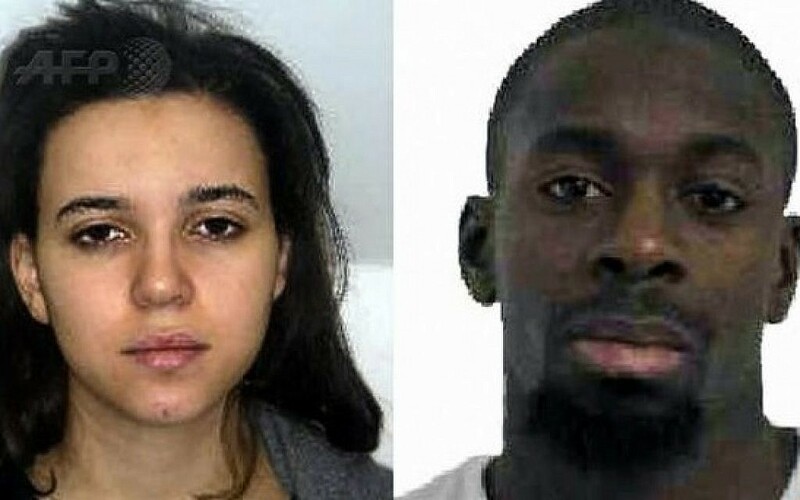 His 26-year-old wife Hayat Boumeddiene, who escaped the grocery store among the freed hostages, is still being sought by police. A Paris prosecutor says the gunman killed four people when he entered the kosher grocery in Paris today. Earlier reports had indicated two people were killed in the initial shoot-out at the store, but it was not clear when the two other victims died. Several more people were injured in the attack. Gunman Amedy Couliably was eventually shot dead by French security forces. His wife-accomplice fled the scene and is on the run. The Paris prosecutor, Francois Molins, also says Coulibaly and his wife, Hayat Boumeddiene, spoke more than 500 times to the Kouachi brothers over the phone. He also says that an employee at the printing works where the Kouachi brothers were holed up in Dammartin-en-Goele, was hiding on the second floor underneath a sink. The brothers did not realize there was another person hiding in the building, Molins tells a news conference. Al-Qaeda in the Arabian Peninsula directed the attack against the French satirical magazine Charlie Hebdo in Paris “as revenge for the honor” of Islam’s Prophet Muhammad, a member of the group tells the Associated Press. At least one of the two brothers involved in the attack travelled to Yemen in 2011 and either received training from or fought alongside the group, according to US and Yemeni officials. A US intelligence assessment described to the AP shows that Said Kouachi was trained in preparation to return home and carry out an attack. French Prime Minister Manuel Valls says the heavy death toll over three days of violence shows there was a “clear failing” of intelligence. “When 17 people die, it means there were cracks,” he says. A top sharia official from Al-Qaeda in the Arabian Peninsula (AQAP) threatens France with fresh attacks following those at the Charlie Hebdo magazine and at a Jewish supermarket, SITE monitoring group says. “It is better for you to stop your aggression against the Muslims, so perhaps you will live safely. If you refuse but to wage war, then wait for the glad tiding,” Harith al-Nadhari is quoted as saying in a video. Amedy Coulibaly, the terrorist who stormed a Paris kosher grocery and killed four hostages inside, said he chose the store because “he was targeting Jews,” French BFM-TV reporter Sarah-Lou Cohen says. Cohen says Coulibaly called the news station in the afternoon. “He claimed to be part of the Islamic State very clearly,” she says. “He said he had instructions from the caliphate. The US is issuing a worldwide travel alert to its citizens, following recent terror attacks in France, Australia and Canada. The State Department’s global travel warning says attacks against Americans are becoming increasingly prevalent. It also cites an increased risk of reprisals against US and Western targets for the US-led intervention against Islamic State militants in Syria and Iraq. The warning also mentions last month’s hostage standoff at a Sydney cafe and the October killing of a soldier near Canada’s parliament. Canadian Prime Minister Stephen Harper and French President Francois Hollande pledge to work more closely to stamp out the threat of terrorism. In a telephone conversation, “the two leaders condemned the attacks and spoke of the importance of cooperating to counter the scourge of extremism and terrorism,” Harper’s office says in a statement. After al-Qaeda, an Islamic State preacher has reportedly also taken responsibility for the terrorist attacks in France over the past few days, according to the UK’s Channel 4 News. US Secretary of State John Kerry honors the victims in France and congratulates French security forces at the French embassy in Washington. Australia grieves with France over the attack on satirical magazine Charlie Hebdo, Prime Minister Tony Abbott says, adding he has discussed the evolving international terror threat with President Francois Hollande. Abbott and Hollande spoke on the telephone on Friday, the Prime Minister’s office says in a statement, adding the French leader had updated him on the situation as it was unfolding and other recent attacks. “The prime minister stated on behalf of the government and people of Australia how deeply our nation grieves for all the victims of the recent terror attack in Paris,” the statement says. Washington Wizards forward Kevin Seraphin wore a black T-shirt with the phrase written in white in all caps before Friday night’s game against the Chicago Bulls. “Je Suis Charlie” — “I Am Charlie” in English — has become a worldwide slogan to show solidarity with Charlie Hebdo, a Paris weekly newspaper where 12 people were killed Wednesday in a terrorist attack. Seraphin was born in French Guiana and has represented France in international competitions. Paris chief prosecutor Francois Molins has given more details on the weaponry found with the bodies of the Kouachi brothers and Amedy Coulibaly. The Kouachi brothers were in possession of an M82 rocket propelled grenade launcher, as well as two machine guns and automatic handguns, the Telegraph reports. On one body police found a booby-trapped grenade. Coulibaly had been armed with an AK-47 assault rifle and a pistol. A gunman who took two women hostage in a jewellery store in the southern French city of Montpellier on Friday has given himself up, officials say, adding the incident has no link to the Islamist violence around Paris. After around seven hours of negotiations, the man surrendered to police, sources say. “This man entered the jewellery store but there was no attempted robbery and his motive is not known,” prosecutor Christophe Barret told reporters. The Twitter hashtag #JeSuisCharlie, expressing solidarity with the victims of the France terror attacks over the past few days, has quickly become one of the most tweeted in the social network’s history, occurring at its height around 6,500 times an hour, the Telegraph reports. Two men have been arrested after counter-terrorism raids in Sydney, Australian officials say, following long-running investigations into those backing fighters involved in conflicts such as in Syria and Iraq. The 33-year-old was arrested and charged with acquiring and possessing ammunition illegally, police say. As morning rises on the Sabbath, and with numerous synagogues and other Jewish institutions throughout France under heavy security, many French Jews say they feel in more danger than ever in their homeland in the face of burgeoning anti-Semitism. “It is impossible to live like this,” Daniel Corcos, a Jewish Parisian who frequents the kosher shop targeted by terrorists on Friday tells the Wall Street Journal. A man identified as T. Meyer tells WSJ he was not surprised by the attacks. Sacha Reingewirtz, the president of the French Jewish Student Union, tells USA Today France had become unsafe for anyone outwardly identifying as Jewish. The BBC’s Katie Razzall also reports on the climate of fear in the Jewish community, noting that many were unwilling to be interviewed on camera, fearing for their safety. “From conversations we’ve had it’s clear that around the Sabbath tables tonight they’re asking whether France is still a place they can call home,” she says. A brave 26-year-old graphic designer named Lilian helped provide police with information from inside a printing business in which the terrorist Kouachi brothers were holed up on Friday, AFP reports. He could hear the suspects talking, which both helped reassure him and gave him more information to send to the forces poised outside, the source said. French newspaper Le Figaro reports on the “palpable” fear in the Jewish community following Friday’s attack at a kosher grocery store — only the latest in a string of anti-Semitic attacks in recent years. Moshe Lewin, an advisor to France’s Chief Rabbi Haim Korsia, tells Le Figaro French that authorities owe the Jewish community explanations on the measures being taken to guarantee its security. “If the means being used are not sufficient, the efforts of the chief rabbi to convince French Jews not to leave the country will be in vain,” he notes. One young rabbi who refused to be identified tells the paper he does not know whether he will reopen his synagogue. However, Niesenbaum insists that the community will not allow the terrorists a victory. “We will not change our lifestyles,” he says. Key members of the French government will meet this morning following the terror attacks of recent days, the Associated Press reports. 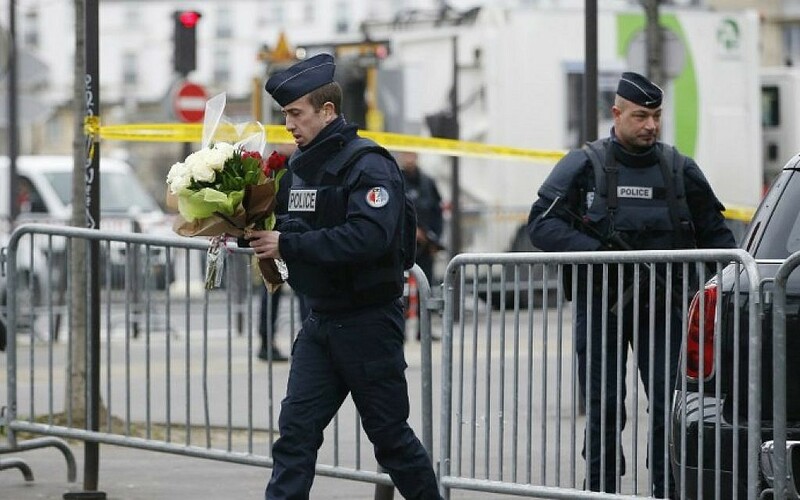 The leaders will decide on new measures aimed at thwarting a repeat of the attacks in Paris. Germany’s new anti-Islamic PEGIDA movement plans to rally again on Monday, when analysts expect its ranks to swell by thousands following this week’s bloody jihadist violence in France. Many observers of the rise of the far-right populist movement in the eastern city of Dresden now expect it to seek to make political capital from the massacre at the French satirical magazine Charlie Hebdo and its bloody aftermath. Editor of the UK’s Jewish Chronicle Stephen Pollard describes the “exodus” of French Jews in an article for the Telegraph, saying that 10,000 had previously been expected to emigrate to Israel this year — a number he expects to rise significantly in light of this weeks events. From Paris to Perth, Melbourne to Montpellier, sports stars, coaches and fans unite in tribute to the victims of this week’s bloodshed in the French capital. At the Stade Jean-Bouin in Paris’s plush western outskirts, players of the Stade Francais and Castres rugby teams sport T-shirts bearing the slogan “Je Suis Charlie,” the global rallying call of protests which have spread since Wednesday’s attacks on the headquarters of the satirical weekly. Fans inside the 20,000 capacity arena join the teams in a minute’s silence before a mighty rendition of La Marseillaise is belted out. Meanwhile, at Montpellier in southern France, spectators at the top-flight soccer match between the home side and league leaders Marseille also observe a minute’s silence before the national anthem. 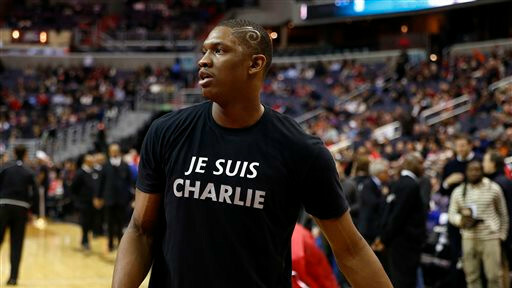 In the US, the Washington Wizards’ French center Kevin Seraphin dons a “Je Suis Charlie” shirt as his NBA team warms up for a game against Chicago. Thousands of kilometers away in sweltering Australia, French tennis star Alize Cornet honors her compatriots during her win over Poland’s Agnieszka Radwanska at the Hopman Cup in Perth. Cornet comes onto the court with “Je Suis Charlie” on a handwritten note on her bag, having tweeted the same message just hours after the attack on Wednesday. French President Francois Hollande holds a meeting with top officials at the Elysee palace in Paris to discuss terror attacks that occurred in the country over the past week, the Telegraph reports. The officials are also discussing ways to secure the nation against further attacks. Several European leaders are set to attend a Sunday rally in Paris to commemorate the victims of this week’s terrorist attacks in France, according to the Telegraph. Among the leaders are British Prime Minister David Cameron and German Chancellor Angela Merkel. 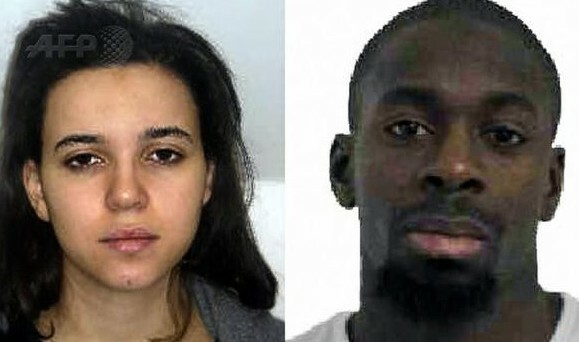 Police are still searching for Hayat Boumeddiene, who is suspected of aiding Amedy Coulibaly in carrying out the attack on a Kosher supermarket in Paris. Investigators are questioning Boumeddiene’s family members, according to sources speaking to the Telegraph. Boumeddiene married Coulibaly in a religious ceremony. But they have not had the civil wedding required to make it official in France. Her mugshot was released by police along with that of Coulibaly in connection with Thursday’s shooting of a policewoman. Boumeddiene is described by police as “armed and dangerous”. An imam from a Paris suburb says he was acquainted with Cherif Kouachi, one of the terrorists behind the killing of 12 people Wednesday at the offices of the weekly newspaper Charlie Hebdo. “Cherif was a very good guy but I lost him two or three years ago,” Mehdi Bouzid says during an interview with BBC Radio 4. Bouzid says he is shocked over the the attack, but urges French citizens to attempt and understand Muslim sensitivities. “I never suspected he could make this thing. When we saw the pictures I recognized the way he walks in the video, I recognized his voice,” Bouzid continues. Foreign Minister Avigdor Liberman will hold a phone conversation tonight with security officials as well as Israeli diplomats in Paris, in the wake of the past week’s deadly attacks in France, the NRG news site reports. The conversation will center around the security measures required in order to ensure the safety of Israeli embassies and Israeli representatives around the world. French Interior Minister Bernard Cazeneuve is giving a press conference outside the Elysee palace in Paris, following an emergency meeting with other officials in the morning. President Francois Hollande called the meeting to discuss terror attacks that occurred in the country over the past week. The officials also reportedly discussed ways to secure the nation against further attacks. “We are determined to proceed in a way to protect the peace and to discover who was involved with these criminal acts,” French Interior Minister Bernard Cazeneuve says at a press conference. Cazeneuve adds all measures have been taken to secure Sunday’s planned rally, which will be attended, among others, by British Prime Minister David Cameron and German Chancellor Angela Merkel. French police officers are searching EuroStar trains from France to Britain, the Telegraph reports. The officers are heavily armed. 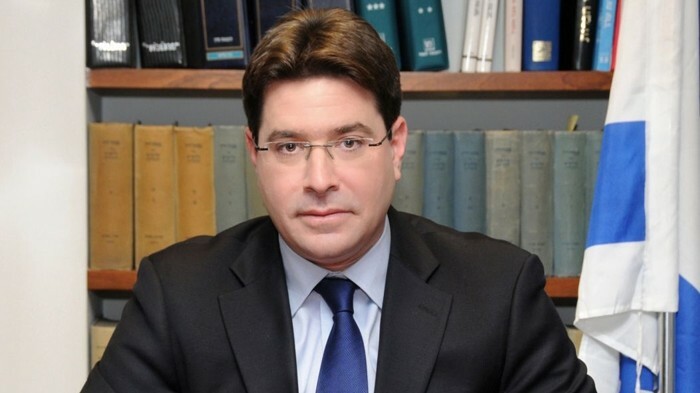 Israeli Deputy Minister Ofir Akunis says that the EU decision to take Hamas off its terrorist organization list last month signaled to extremists across Europe that they could carry out deadly attacks such as the ones witnessed in France. “Anyone can see that the octopus arms of Islamism will strike at Europe,” he tells Army Radio. Akunis is a Knesset member from Prime Minister Netanyahu’s Likud party, and a former Netanyahu aide. 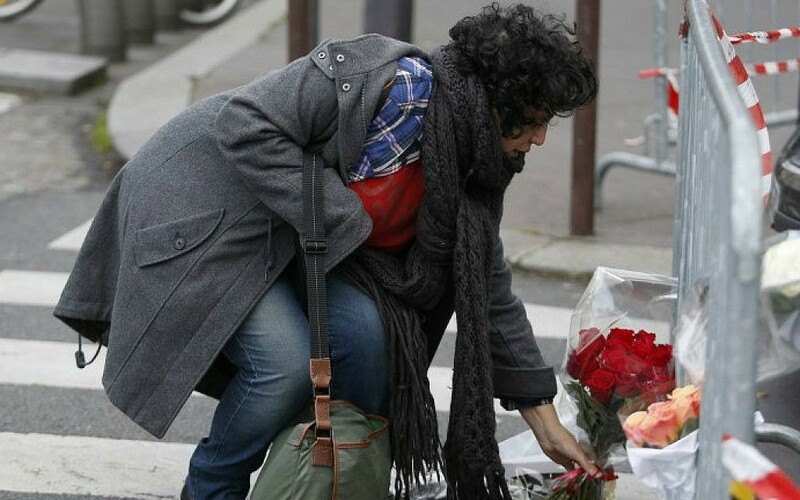 Eighty-eight thousand police officers are searching throughout Paris for Hayat Boumeddiene, the wife-accomplice of Amedy Coulibaly, who killed four hostages at the kosher market. Security officials say Boumeddiene is likely armed, and is most probably planning to carry out another attack, Channel 10 News reports. Former finance minister Yair Lapid calls on French Jews to immigrate to Israel. 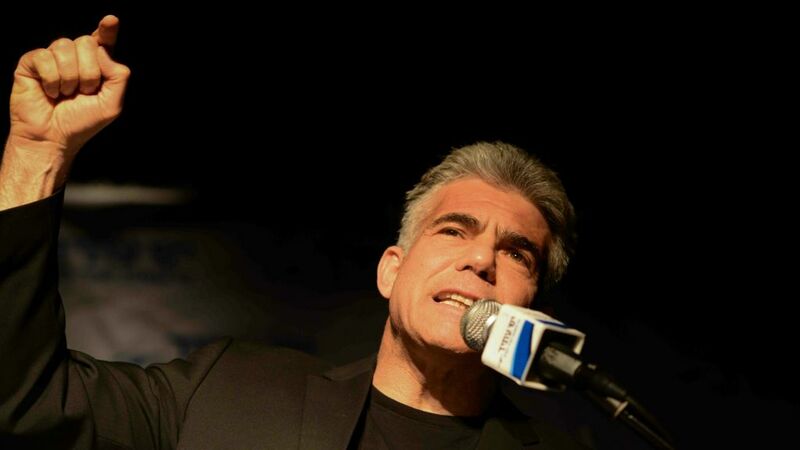 “Terrorism and racism must be dealt with firmly and without compromise; this realization is now reaching the Europeans,” Lapid says during an event in Beersheba. 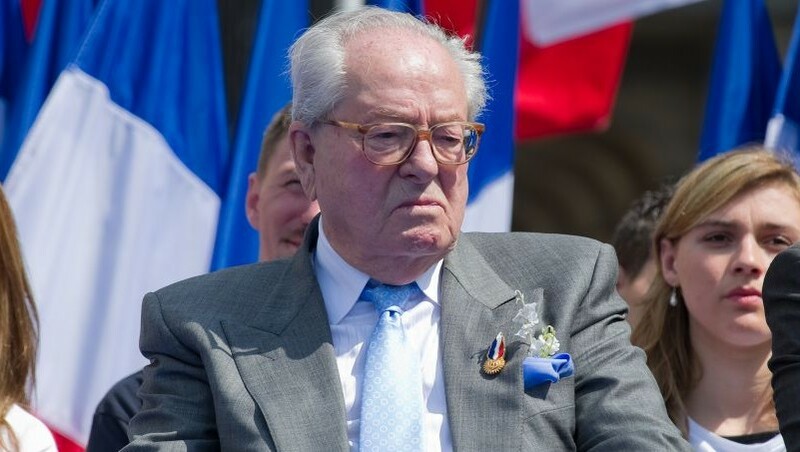 Former National Front party leader and far-right French politician Jean-Marie Le Pen says he feels for the victims of the deadly terror attack on Paris newspaper Charlie Hebdo, but he refuses to use the slogan “Je Suis Charlie,” or I am Charlie. “I feel for the death of the twelve French compatriots,” Le Pen says. Charlie Hebdo is considered to be associated with the left-wing in France. Turkish Prime Minister Ahmet Davutoglu will on Sunday travel to Paris to take part in the rally in support of France following the massacre at satirical weekly Charlie Hebdo, the official Anatolia news agency reports. “Prime Minister Ahmet Davutoglu will tomorrow in Paris join the march in solidarity with the French people,” Anatolia says. Davutoglu will join other world leaders including German Chancellor Angela Merkel and British Prime Minister David Cameron. Tens of thousands of people are rallying across France in solidarity with the victims of this past week’s attacks in Paris, AFP reports. The “survivors’ issue” of Charlie Hebdo will also be sold outside France next week because of the massive world attention for the satirical weekly following the massacre of its top staff — a turnaround for a publication that just a week ago was on the brink of folding. The remaining employees of the publication are putting out the special edition next Wednesday, which they say will have one million copies printed instead of the usual 60,000. The French company MLP that Charlie Hebdo is using to distribute its much-awaited issue has done deals with several other press distribution groups, notably Naville in Switzerland and SGEL in Spain, to sell the edition, industry sources say. Negotiations are going on with companies in other countries, such as Canada. Many other countries that have never seen Charlie Hebdo — a comic-heavy newspaper that delights in breaking taboos and testing the boundaries of taste — are also calling for copies to come their way. 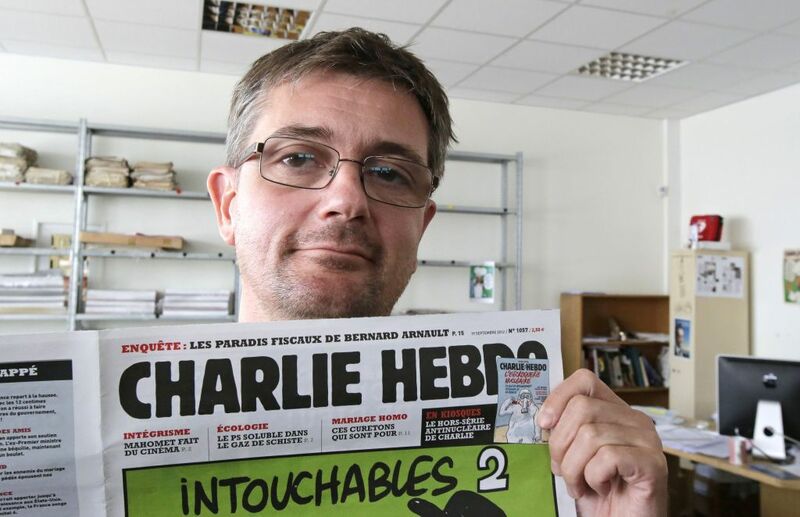 All of the companies involved in getting next week’s newspaper to the public promise to do so for free, and all money from sales of the issue are to go to the families of the 12 people murdered in the attack on Charlie Hebdo’s offices on Wednesday by two Islamist gunmen. France will deploy some 500 extra military personnel in the greater Paris region, the defense ministry says. “We will this morning announce a reinforcement of 500 additional military personnel, in two waves in Ile de France,” the ministry says, referring to Paris and the immediate surrounding areas. A prominent Dutch cartoonist at Charlie Hebdo heaps scorn on the French satirical weekly’s “new friends” since the massacre at its Paris offices on Wednesday. “We have a lot of new friends, like the pope, Queen Elizabeth and (Russian President Vladimir) Putin. It really makes me laugh,” Bernard Holtrop, whose pen name is Willem, tells the Dutch center-left daily Volkskrant in an interview published Saturday. France’s far-right National Front leader “Marine Le Pen is delighted when the Islamists start shooting all over the place,” Willem, 73, a longtime Paris resident who also draws for the French leftist daily Liberation, adds. Willem was on a train between northwestern Lorient and Paris when he learned of Wednesday’s attack by two Islamist gunmen as the paper was holding its weekly editorial meeting. “I never come to the editorial meetings because I don’t like them. I guess that saved my life,” he says. French newspaper Le Parisien reports that the Disneyland Paris theme park was partially evacuated for security reasons. Park officials later said the scare had been a false alarm, according to the French publication.